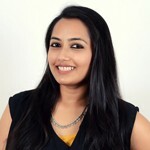 Have a look at these 14 effective home remedies for clear skin. Slice the cucumber and lemon and drop the pieces in an empty pitcher. Add the mint leaves as well. Pour water over these and refrigerate. Keep sipping this water all day long. 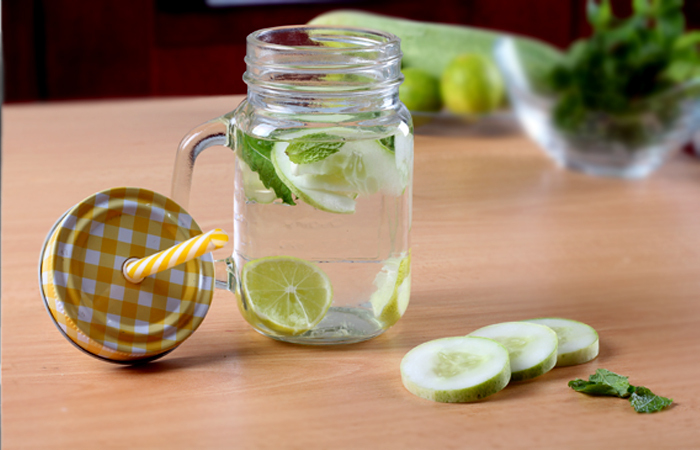 You can continue having this detox water everyday for long-lasting healthy and clear skin. Cucumber is cooling for the body and rejuvenates the skin (1, 2). Lemon restores the balance in your digestive system, thus eliminating one of the most common reasons for developing spots and acne (3). Mint leaves aid in regulating indigestion and clearing any internal infections (4). 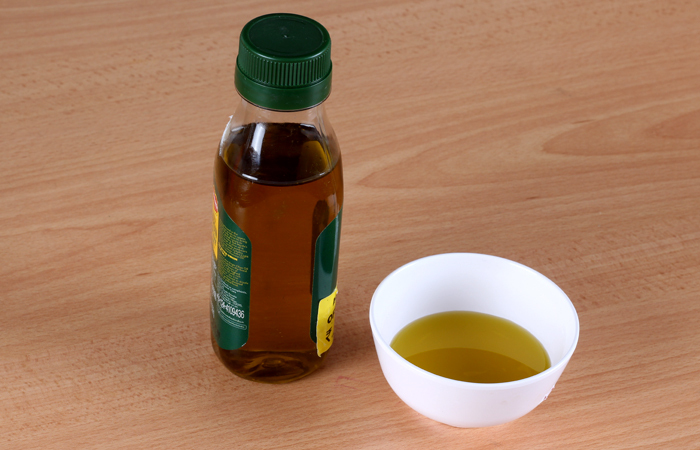 Dot the oil all over the skin with your fingertips and massage the area for a minute or two. Let the oil soak in for a couple of minutes. 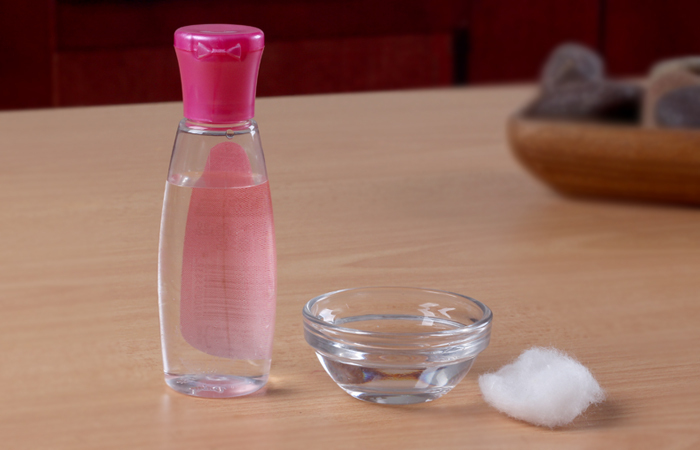 Wipe away the excess oil with a cotton ball/pad. Coconut oil is an excellent natural moisturizer for the skin. Its antimicrobial properties will keep the skin clean and infection-free. The phytochemicals present in it are powerful antioxidants that scavenge free radicals and impart a natural and healthy glow to your skin (5). 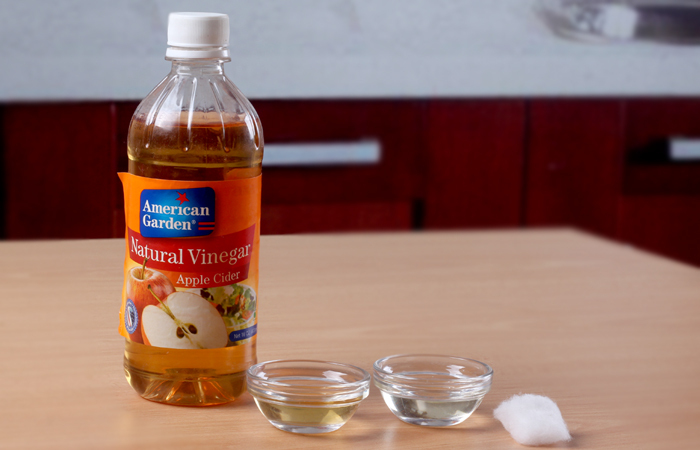 Mix the vinegar with water and soak the cotton ball in it. Apply this on the skin and leave it on overnight. Wash the area as usual in the morning. You can also add a teaspoon of ACV to a glass of water and drink it every morning. The acids present in ACV exfoliate the dead skin cells and reveals a fresh and healthy layer of skin cells. 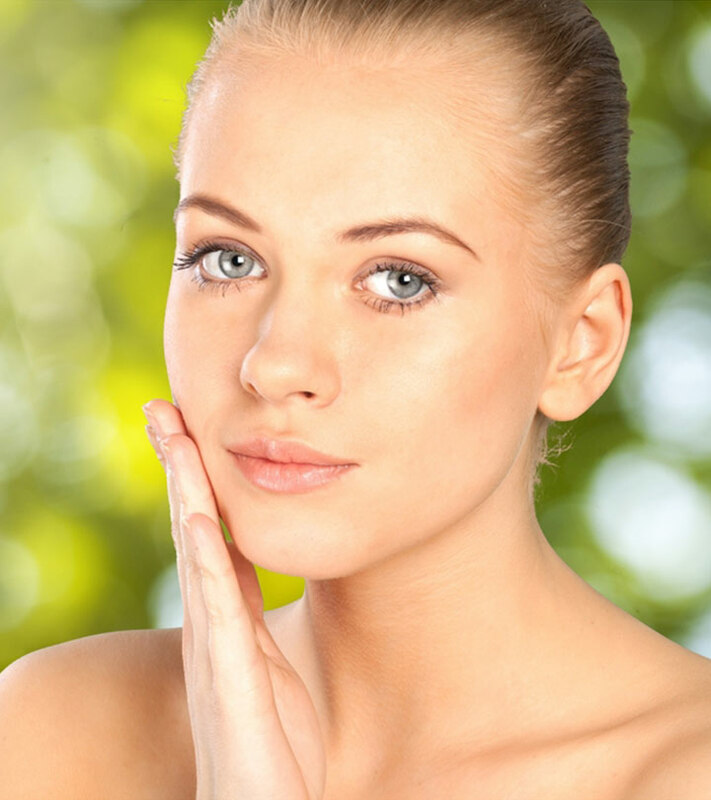 ACV is also an astringent and will prevent your pores from getting infected and inflamed (6). Steep the green tea bag in the hot water for a few minutes. 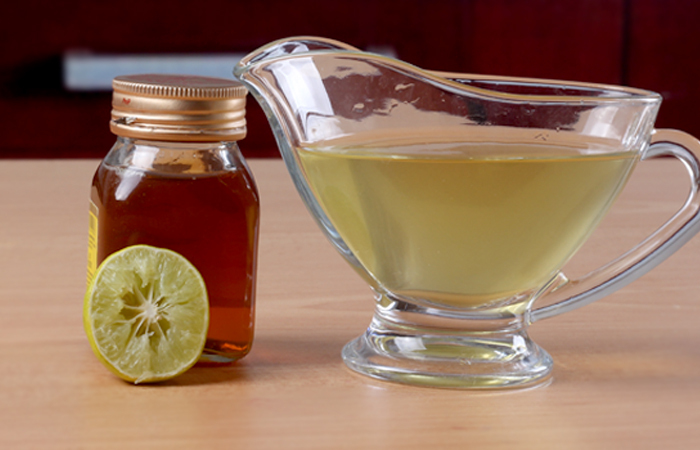 Remove the tea bag and add honey and lemon juice to suit your taste. Sip this herbal tea while it is warm. Drink two to three cups of green tea in a day. Daily consumption of green tea is recommended by doctors for a healthy body and also for healthy and clear skin. Green tea is full of antioxidants that will nourish, heal, and detoxify your body. The condition of your body from the inside is reflected on your skin. Green tea is also good to reduce blood cholesterols levels and maintain optimum heart and bone health (7). Take a lemon and cut it in two halves. Take one half and rub it directly onto your skin in a circular motion. Do this for five minutes. Rinse your face with cold water. Try the lemon juice remedy daily till you start seeing results. 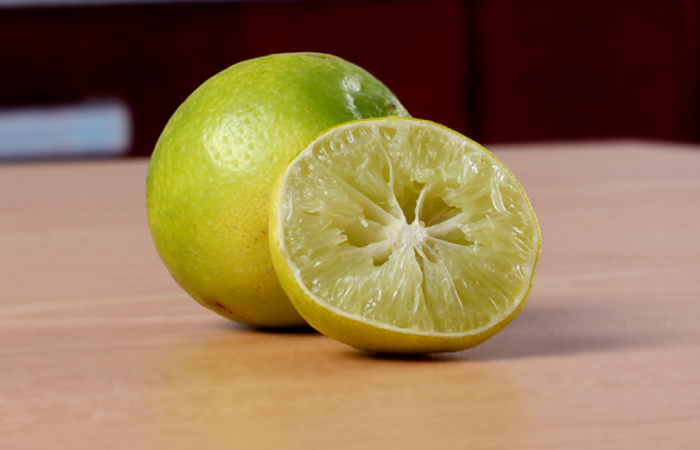 Lemon juice is a rich source of vitamin C, which helps in skin lightening. This remedy helps you to get rid of spots and blemishes and paves the way for clear, flawless skin (8, 9). On a clean and dry face, apply a thin layer on the skin. Let it sit for about 15 minutes. Then, rinse with lukewarm water. Repeat this every day for glowing and clear skin. 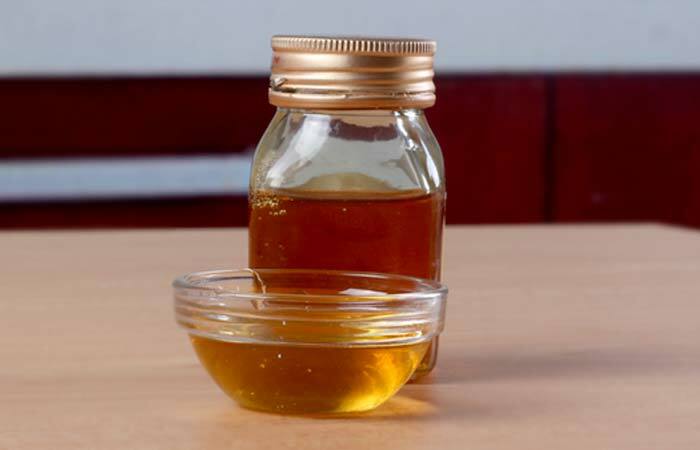 Honey contains vitamins and minerals that nourish the skin. It also contains antioxidants, called flavonoids, which give you youthful and glowing skin. Its cleansing properties will keep the skin pores clean (10). Remove the thorny sides and the green outer covering from the aloe vera leaf. Cut the gel into small cubes. In order to use the gel, you can either grind the cubes to a pulp or rub the cubes directly onto the skin. Include the aloe vera remedy in your daily skin care routine for spot-free, flawless skin. Aloe vera is known to have skin-friendly and antiseptic properties. It is a well-known moisturizer and helps in clearing the skin of blemishes and spots (11). Aloe vera might not work for all skin types, so it’s advised to do a patch test before using it on your face. Grind all the ingredients with a little water to make the healthy green juice. Drink this juice preferably in the mornings. Consume this juice once daily. 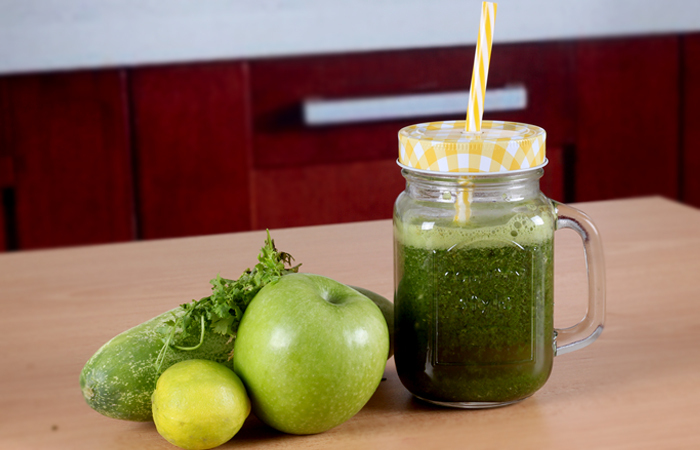 This green juice or smoothie is full of vitamins and minerals, which are very healthy for the body and skin. It acts as a beauty detox. You will soon start noticing the radiance and smoothness in your skin once this juice is included in your daily diet (12). Take a few drops of this oil, and apply it thoroughly on the skin. Follow this up with a gentle massage in circular motions. Leave it on for a few minutes. Then, wipe it off using a washcloth dipped in hot water. 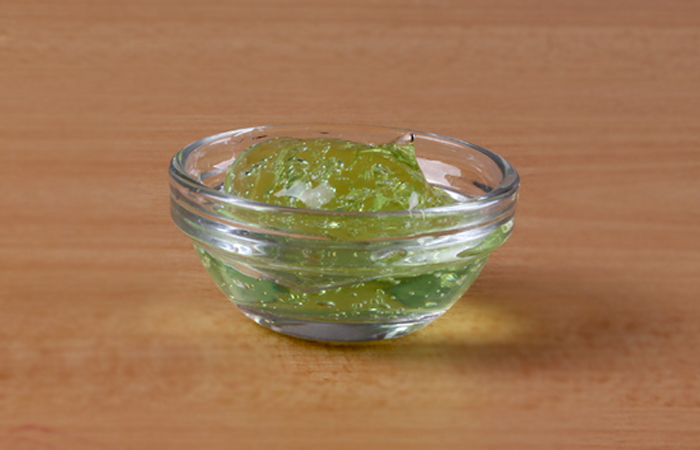 Olive oil contains vitamin E that hydrates the skin and restores its freshness and elasticity (13). The oil will absorb all the impurities, leaving a clean and clear skin (14). Make sure that the water is not scalding hot. Mix all the ingredients to form a thick paste. Add a little water if required. Apply this mask on the face and neck, and leave it on for 15 minutes. Apply this mask twice a week. 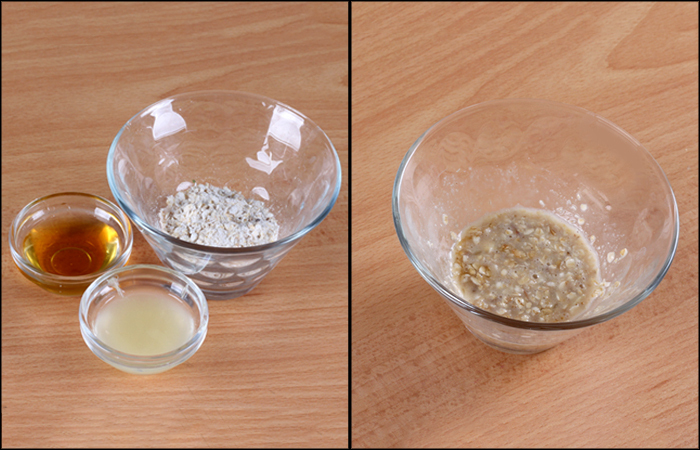 Oatmeal soothes the skin and exfoliates the dead skin cells. It also moisturizes the skin, thus keeping it at its optimum health. The anti-inflammatory compounds and antioxidants found in oatmeal are added benefits for the skin (15). Place the rose water in the refrigerator for 30 minutes. Apply it all over a clean face and neck using the cotton ball. Let it air dry. Moisturize as usual. A favorite during the Mughal rule in India, rose water is an excellent home remedy for clear and glowing skin. It increases the blood circulation under the skin and also balances the skin’s pH. It is also a natural astringent and tones the skin (16). Cut the potato into round slices. Take a slice and rub it onto your skin in circular motions. Rub the slices for five minutes and wash it off with cold water. Follow this routine once daily for best results. Potatoes contain natural enzymes that have bleaching properties. 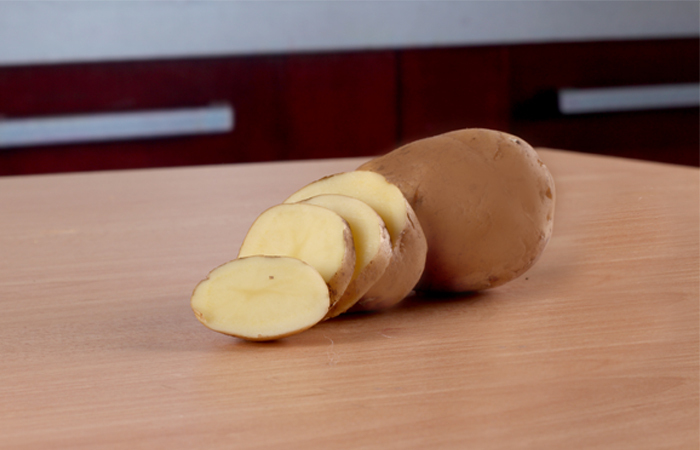 Hence, using a potato slice for treating spots, blemishes, and discolorations can help you get clear, flawless skin (17). 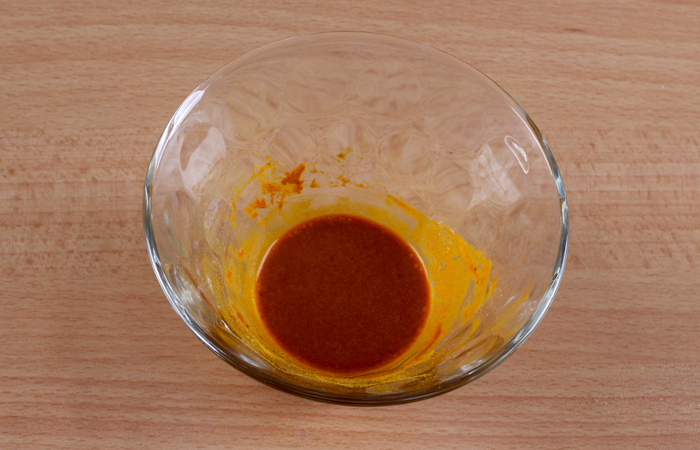 Mix two tablespoons of turmeric with water to make a thick paste. Apply this paste over your face. Let it stay on for about five minutes. Then, rinse your face with cold water. Apply the turmeric face pack to your skin daily. Turmeric is a natural antiseptic and is widely used to treat minor cuts and wounds. It also has skin lightening properties due to which it can get rid of those spots and blemishes (18). 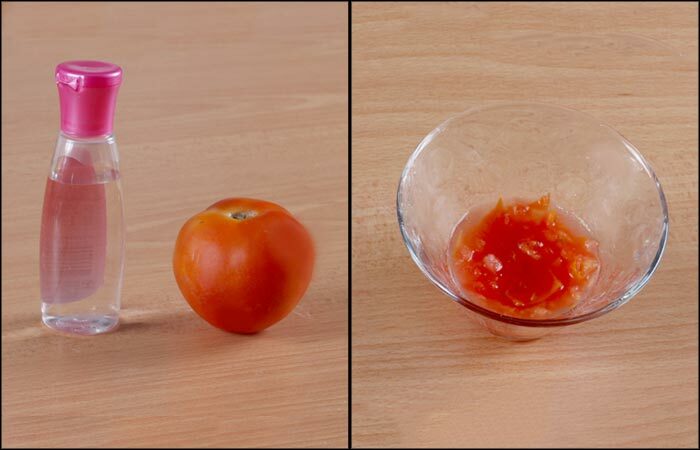 Make a pulp of the tomato and mix it with two teaspoons of rose water. Apply this mixture on your face and keep it on for 10 minutes. Wash your face with cool water and pat dry with a soft towel. Apply this pack to your face and skin daily to reap maximum benefits. Tomato has antioxidant properties that keep the skin youthful and also help in lightening spots and blemishes on the skin (19, 20). Apart from the home remedies listed above, here are a few clear skin tips to get radiant and spot-free skin. Drink Water – Drink lots of water. It will flush out all the toxins and help maintain your skin’s hydration levels from within. This will help you get clear, glowing skin. This is a clear skin secret that works for everyone. Eat A Balanced Diet – Speaking of tips to get clear skin, it’s time to talk about your diet. A balanced diet plays a vital role in getting clear skin. Include fresh fruits/juices and green leafy vegetables in your diet. Clean Makeup Brushes – Clean your makeup brushes at least once every two weeks. Bacteria breed in moist areas, and brushes which come in regular contact with liquid/creamy makeup products are potential breeding grounds for bacteria. Thus, they need to be cleaned every week. Brushes that are less frequently used, or used for dry makeup products, can be cleaned every three to four weeks. Wash the brushes with shampoo and let them dry overnight. Remove Makeup – Remove your makeup before going to bed. Our skin regenerates and repairs itself while we’re sleeping. So, if you don’t remove the makeup from your skin, you’ll end up with clogged pores and your skin will be prone to breakouts. 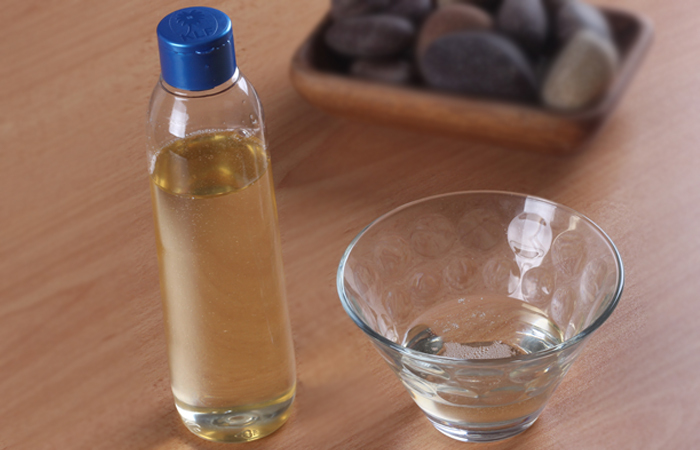 Use the olive oil home remedy or a makeup remover to remove all traces of makeup from the face. Now that you know how to get clear skin, what are you waiting for? 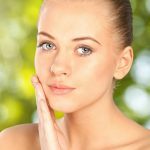 Following the above tips will ensure that you get clear, glowing skin in a few weeks. Give these clear skin remedies a try and we are sure you will not be disappointed. If you have any other queries, please leave us a comment and we will get back to you.